em 31 de Janeiro de 2019. Reforestation Activity shared with you by our European volunteers! At the beginning of the 2019 year, on 5th of January which was very cold and windy day, me and other volunteers had great opportunity to attend in reforestation activities organized by Parque Ecológico. This place was found in 1994 on initiative of the City of Funchal and its main purpose is protection of nature and ecological education. Firstly, we had short presentation about the purpose and activities organizes by association. Our main task for this day was laurel trees planting. 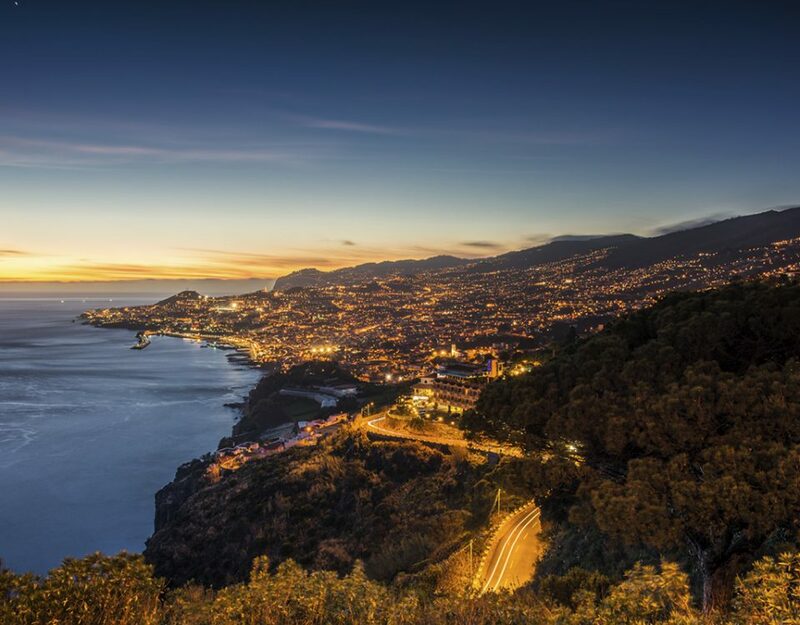 Madeira is famous of its old laurel forests which are on The List of World Heritage UNESCO since 1999. Nowadays the protected area occupies c.a. 15 thousand hectares, however when the island was discovered in 1419, laurel trees grew almost the entire island. Thus, replanting trees now is also a kind of maintain of Madeiran heritage. For us, volunteers, this was a good opportunity to do something good for Earth, by supporting and protecting natural environment of Madeira, and great way for team-working. 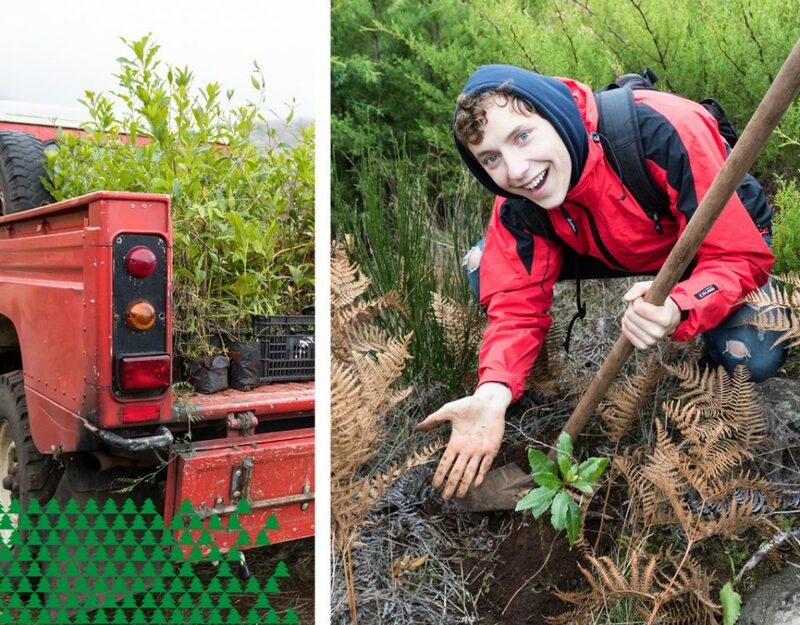 Together with team from Coca-Cola company we put effort to plant many laurel trees on the hills of Funchal. I hope that most of them will survive and became big and powerful trees. – Anna Soltys, a volunteer from Poland. The 5th of January it was for me the second time planting trees in the Ecological Park of Funchal. This time we also went with some other volunteers. Besides some men of the famous company, Coca-Cola were helping with planting trees as well. Starting from the sunny, warm centre of Funchal we went all the way up in the mountains were it was very cold. We started the morning by watching a presentation about the Ecological Parc. For example what kind of species of animals and plants we can find here. Also the history of the big fire in 2016 which destroyed around 95% of the whole Ecological Parc. It is very important to have the vegetation back on the hills for many reasons. One of them is that the roots of plants and trees hold the rainwater for a longer period of time. When there is no vegetation on the hill, there is a bigger chance of having mud streams for example. This is dangerous when the water will reach Funchal to fast. By the time we were planting the trees, all in couples, it was getting warmer fortunately. An interesting day to do something for the environmental space of Madeira. – Merel Marcuse, a volunteer from The Netherlands. Beginning of January, on Saturday morning volunteers gathered in the Jesuits College. Then we were taken by university buses to Parco Ecologico Funchal. In the beginning, there was a short presentation about the park as well as an introduction to reforestation and local flora. Later, the whole group walked to the place where we were we had to plant trees. We were divided into groups of two people, were given hoes and seedings. One of the park employees gave us short instruction and demonstration what exactly we should do to correctly plant. Then we started to work in our teams. Especially digging holes in the soil was good warm-up exercise, because the temperature was quite low and it was cold outside on that day. There was a lot of fun because the place we were planting was quite steep. Some people had a problem to keep balance and they were felled over. After work was finished we took a group picture. Additionally, part of the group were employees of coca-cola company and they had a nice surprise for us. They brought a car full of drinks, so everyone could help oneself. Later buses came to pick us up and we came back to Funchal. It was a nice Saturday spent on doing something good for the local environment. Katarzyna Janek, a volunteer from Poland. Fotografias captadas por Magdalena Zawadzka, voluntária da Polónia, ao abrigo do programa Erasmus+.